This Centre Fold Polythene Shrink FIlm is ideal for stabilising and protecting awkward shaped products while in transit. 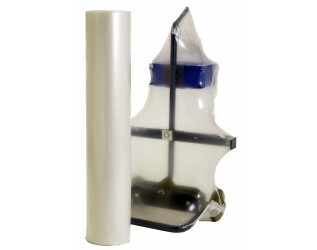 Polythene shrink film provides transparent, all weather protection, and is used with our Shrink Film Pallet Guns. Polythene is a low cost, high clarity alternative to Polyolefin Shrink Film, but becomes brittle at lower temperatures.